Project Micro has started a collection of sand from around the world for use with Activity 6 of Microscopic Explorations. The SANDBOX was created from donations from thoughtful people who live in or have visited the far reaches of our planet. explore the sand as an educational tool. Here is a list of available sand. Like any beach, the SANDBOX is constantly shifting as samples are depleted and replenished with new donations. Some samples may not be available when making your request. 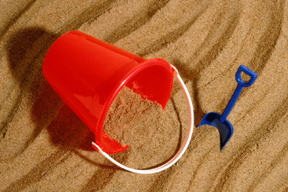 Select the sands you would like from our list and e-mail your request to Sand Request Email. Include your selections (limit 6 per request), complete name and mailing address where the sands should be sent, and how you plan to explore them. This collection was created for Microscopic Explorations but you will ultimately determine its usage. Like the number of sand grains on the beach...the possibilities are endless! Sand donations are what keep the SANDBOX full. Please consider adding a sample to help with this effort. All donations are appreciated and will be shared with many educators. To send your sand, fill a re-closable bag (Ziploc sandwich bag) half full and place it inside of another Ziploc bag. Sandwich-size bags are manageable — but if you want to donate a bigger volume please feel free to do so. Remember to provide a collection location. 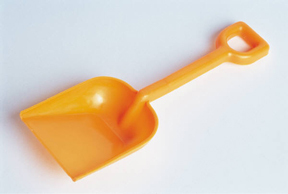 Pail & Shovel is your spot to highlight some of your activities! Remember to describe what's going on...where, when, who and what activity.